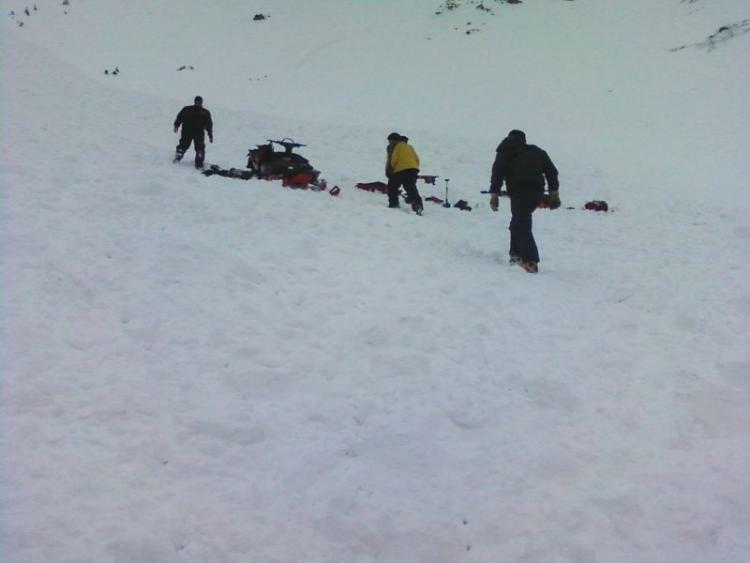 One snowmobiler was killed in an avalanche that he triggered on Sunday, April 4th. He was traveling north along a ridge when a cornice he was on cracked and broke off. 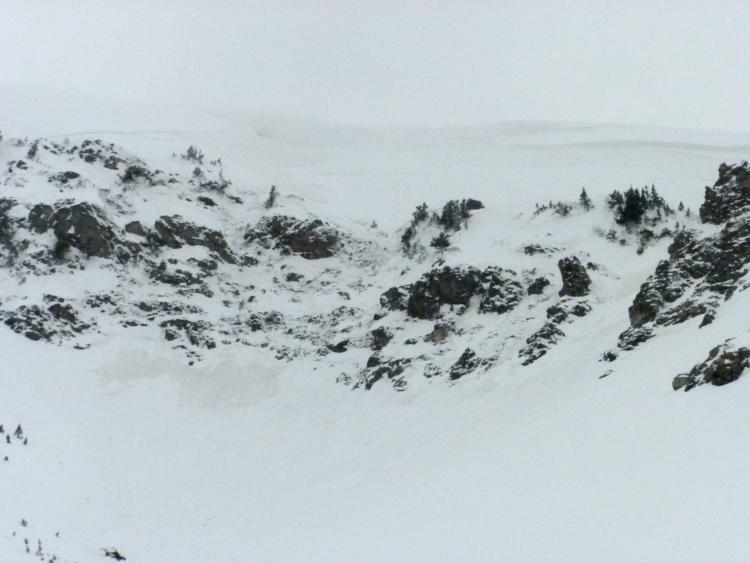 This caused an avalanche to release below the cornice. He was carried over a cliff band. He was buried approximately 1000 feet below the ridge under 2 to 3 feet of debris. He was located by his partner with a beacon. Davis County Search and Rescue responded and the victim was extricated via helicopter. Recent snow coupled with strong winds on Saturday caused snow to be drifted into deep drifts on the lee sides of ridges. The Farmington Canyon/Francis Peak ridgeline is notoriously windy and large fresh cornices had formed. 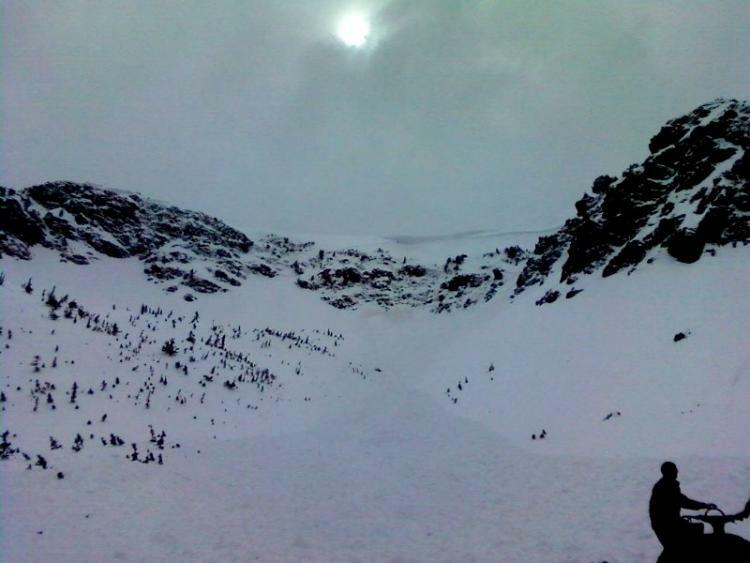 The photo shows the broken cornice, the slab that released below, the cliff band and the bed surface below where the snow was entrained in the avalanche. The upside down sled is visible in the left below the cliff. You can also see the dirt layer in the bed surfaces. The vic was approx. 600 to 800 ft away from the snowmobile. Total estimated distance traveled from the cornice was about 1200 ft. He was buried horizontally about 2.5 - 3 ft deep with his head downhill. The victim went over the 75' high cliffband as shown in the photo. Thanks to the Davis County SAR team and AirMed for their good work on the recovery.